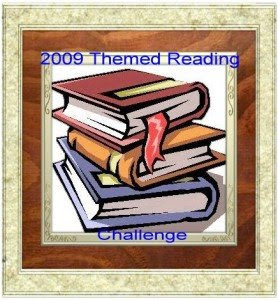 Caribousmom is hostng the 2009 Themed Reading Challenge, for which we have to read between 4 and 6 books from our TBR stacks, all with the same theme. Ever since I started blogging, my TBR stacks have exploded so I didn't have much trouble putting a list of possibles together - I actually already own all my possible books. 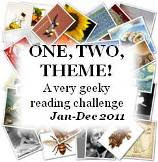 My theme is 'Books with proper names in the title'. The challenge runs from 1 February to 31 July 2009. Thanks Wendy, I'm looking forward to it!